This naturally moisturizing and soothing mud is ideal for normal to dry skin types, and will leave your face and body with a healthy glow and smooth finish. Mined from the French Alps, the re-mineralizing properties include iron oxide, which gives it its natural color. 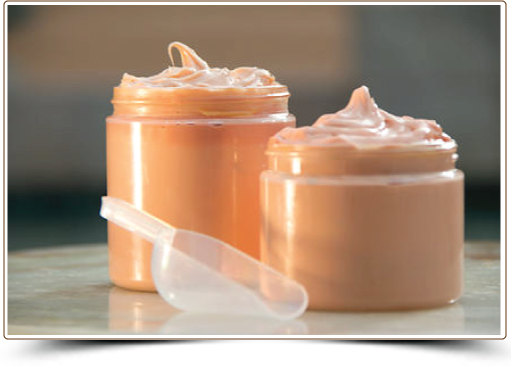 Red mountain mud provides a high content of other minerals that aid in keeping skin healthy, radiant and full of life. Kaolin Clay possesses the ability to pull out toxins and help cleanse your skin, while the essential oil of Sage helps to reveal a healthy glow and even complexion while imparting its therapeutic scent. A handy mud treatment scoop is included. Hint: The ideal treatment when used on your face, neck and shoulder area creating the perfect pick me up for radiant skin.